GJ.16, 4R. 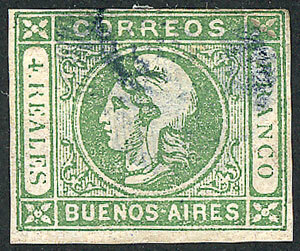 worn impression, yellow-green, blue cancel, 4 complete margins though a little short. Catalog value US$100.